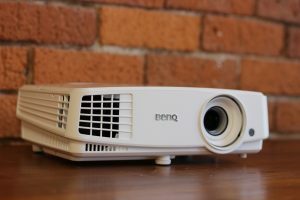 If you intend to rent a projector, but you still have some questions our Projector Rental Rate Table below gives a great overview. 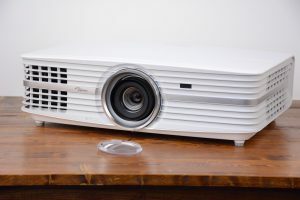 For more information about each projector’s specifications, please refer to the page Projector Specifications, where you can find a detailed comparison of all technical aspects such as Lumens, Contrast Ratio, Resolution, Throw Ratio and their explanation. Learn more about Cables and Adapters that you may need in our Cables and Adapters Guide. 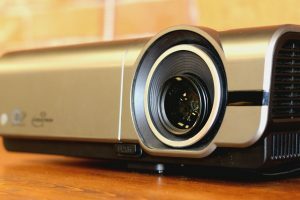 If you are ready to rent a projector or screen just visit our Projector Rental Page or Screen Rental Page. 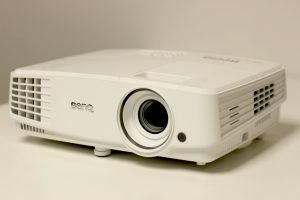 *Small Room: For a small room, or little space between the projector and screen, we recommend the short throw projector. 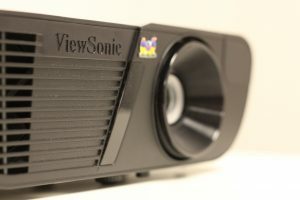 This projector is capable of creating large images from a close range. Find more detailed information about distances on our Projector Specifications page in the “Throw Distance – Short” section. *Ambient light: For places with strong ambient light such as indoor with strong spotlight light (exhibition centre), presentation stage or outdoors, we would recommend renting a high lumen projector. However, if you are in a regular office, or room inside a house all the projectors we offer should be able to cover your needs.